The Frank G. Zarb School of Business and IBM Global University are launching a new alliance that will enhance Hofstra’s technology curriculum and provide training and certification in high-demand digital skills to students and members of the surrounding community. The new program, which will be developed in the coming months, will be offered through the IBM Skills Academy. The Skills Academy is IBM’s worldwide academic initiative to help universities keep pace with the digital sector’s fast-evolving demands for job candidates with market-ready skills. Eventually, the program will be expanded beyond the Zarb School to other areas of the University. The partnership with IBM is the first of its kind in New York state, and one of only a few in the nation, according to Naguib Attia, IBM’s vice president for Global University Programs. “Universities are rising to the challenge of preparing students for the world of ‘smarter work.’ Their future in ‘smarter businesses’ will include intelligent digital platforms, intelligent systems and processes, and a new era of man plus machine with embedded AI and data everywhere,” Attia said. “A major reinvention of education is underway. IBM is partnering in that transformation and pioneering a new model of education with the IBM Skills Academy. The partnership with IBM is the first of its kind in New York state, and one of only a few in the nation. The alliance will take shape as the Zarb School prepares to move into a new, state-of-the-art building in January 2019. Hofstra and IBM will begin the new partnership with an event on October 4, 2018, that will bring together IBM experts and University faculty to examine the applications for and impact of artificial intelligence on a range of business functions, including marketing, finance, and supply chain management. The event will be held from 10 a.m. to noon at Hofstra University’s Mack Student Center. 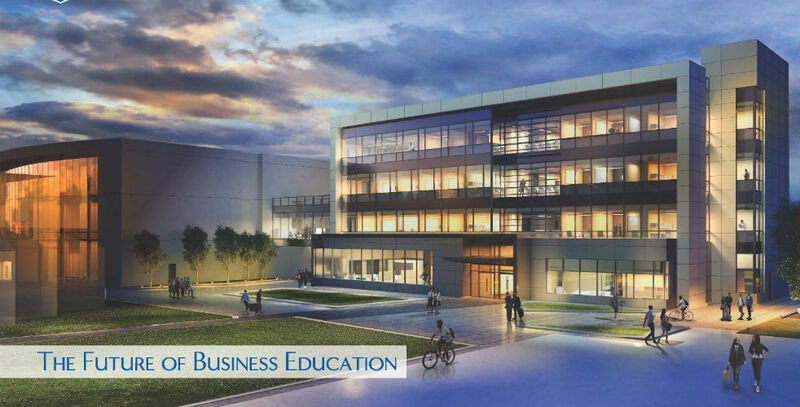 The alliance will take shape as the Zarb School prepares to move into a new, state-of-the-art building equipped with a sophisticated behavioral research lab and an enhanced startup business incubator, as well as multiple student independent and collaborative work spaces.